Most people say practice makes perfect, but that tactic failed No. 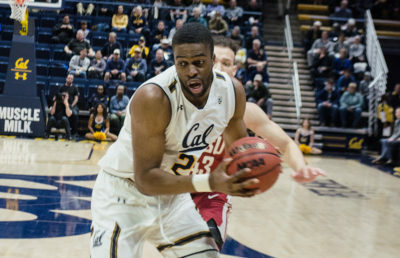 13 Cal men’s gymnastics last Saturday when the Bears posted their lowest score of the season at Stanford’s International Collegiate Challenge. Even after three full weeks off from competition, Cal came in fifth behind powerful NCAA and international teams. 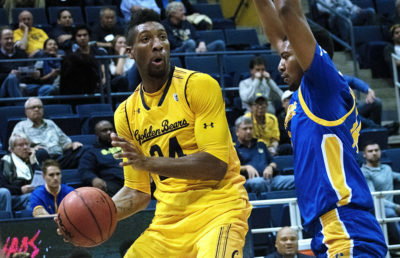 The Bears’ composite score of 384.650 was a significant drop after their steady climb over the past three tournaments. Senior Yordan Aleksandrov was the only team member to finish in the top-10 on an individual event, snagging seventh place on the rings with a score of 13.500. Finishing first was the home team itself, making this No. 3 Stanford’s fifth tournament win this season. The Cardinal claimed the title with an overall score of 410.700, their second highest of the season. Stanford junior Grant Breckenridge brought home first place on the high bar at 14.100 and freshman Blake Sun posted his season-high score of 14.400 to grab first place on the parallel bars. Star senior Robert Neff contributed to Stanford’s success with his first place all-around score of 81.200 and a second place finish of 14.300 on the pommel horse, his season-high. 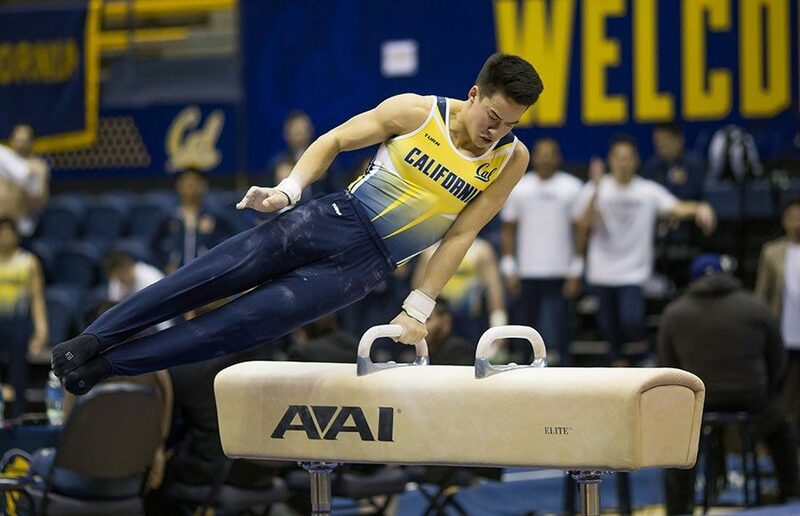 Cal junior Aaron Mah came in second all-around with a score of 77.850, a tournament highlight for the Bears. Just behind Stanford came No. 8 Michigan with a score of 410.350, its new highest road score by 15.500 points. The past week spent on the west coast practicing for the tournament paid off with several season bests and individual top-10 scores. Going into the final rotation, Michigan was in third place behind Stanford and the Japanese national team. After a score of 68.050 on the parallel bars, the Wolverines vaulted, or rather spun, past the Japanese team, finishing in second behind the Cardinal by only 0.350 points. Japan, the reigning Olympic champion, would finish in third with a score of 409.450, making the difference between the top three scores less than a full point each. The final standings put No. 7 Illinois in fourth place with a score of 404.250, and the Canadian national team in sixth place with a score of 353.450, well behind the Bears. Next Saturday, Cal continues its season on the road in Norman, Oklahoma to face the defending national champions, No. 1 Oklahoma. Despite another setback to their rivals, perhaps the Bears will find better luck against a different national powerhouse.